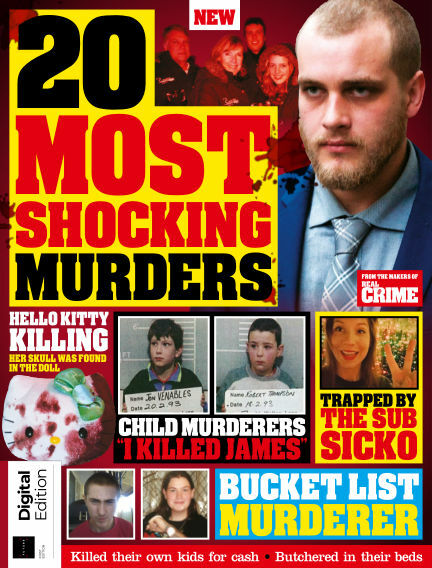 In this issue of Real Crime: 20 Most Shocking Murders : 20 Most Shocking Murders will delve deep into the most senseless killings and premeditated attacks. Learn the uncomfortable details of how two young children savagely murdered a toddler in broad daylight, and discover the lies that were told to hide the truth about an axe killing. With Readly you can read Real Crime: 20 Most Shocking Murders (issue First Edition) and thousands of other magazines on your tablet and smartphone. Get access to all with just one subscription. New releases and back issues – all included.